As one comment on the Facebook page read when I alluded to my less-than-positive review of this film, it may be time to get out your pitchforks, readers. 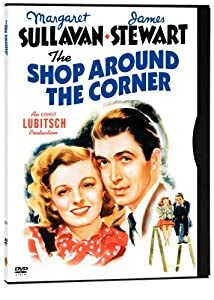 It’s not that I didn’t like The Shop Around the Corner; it’s just not my favorite Ernst Lubitsch film. One issue is I’m not a Jimmy Stewart fan. 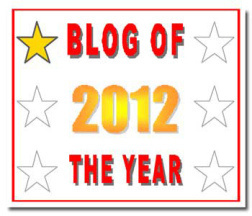 I’m sorry, but this is a well-known fact about me since this blog started. Jimmy Stewart and I don’t see eye to eye, despite me seeing quite a few of his films. Maybe I haven’t stumbled upon the film which will make me see his genius, but as it stands now this is just another okay movie in his filmography. Alfred Kralik (Stewart) and Klara Novak (Margaret Sullavan) are two employees working in a gift shop in Budapest. The two can’t stand each other, yet are unknowingly corresponding with each other through letters. In their letters, both have found their ideal mate, and when Alfred discovers Klara is the ideal girl who writes to him, he’ll have to figure out how to tell her. I know The Shop Around the Corner has been remade a few times, most prominently as the 1998 Nora Ephron film You’ve Got Mail. A lot of my issues with this film boiled down to a few things: 1) Jimmy Stewart and I; 2) After watching a subpar movie previously I wasn’t in the mood to watch this; 3) I felt the plot of the pen pals got lost in exploring side characters and melodrama. This is the second Lubitsch film I’ve reviewed for the blog (the first was the adorable Heaven Can Wait), and I have another three to watch. The romance between Klara and Alfred is secondary to the goings-on with store owner Hugo Matuschek (Frank Morgan) and his wife, as well as the other characters who inhabit the story. The movie is 99 minutes and felt like 60 because things move so rapidly. I was never truly invested with Alfred and Klara because, aside from a few written snippets, there’s never a detailed progression of their written romance. It’s also head-scratching to set this film in Budapest because none of the actors have an accent. You’d think Budapest was New York with all the Americans living there. I enjoyed the side characters, particularly Felix Bressart as Pirovitch. He’s a character with down-home personality who loves all his colleagues. He’s also a family man, as evidenced by a phone call he makes to his mother telling her he has to work late so “We don’t have to have dinner at the Laszlo’s. Yes I knew you’d be glad.” I’ve had that same conversation with my mother. 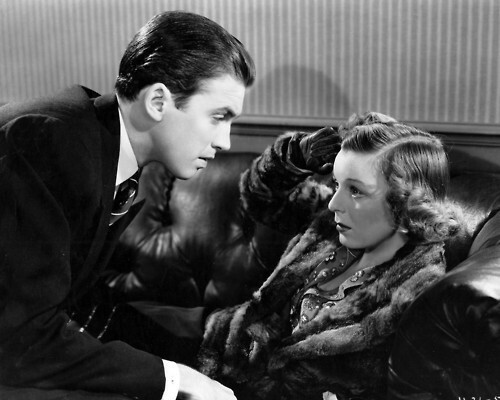 Margaret Sullavan is cute in an early Meg Ryan way. I could easily see her as the romantic counterpart to Stewart. The relationship between Alfred and Klara is essentially two children who admit they like each other through insulting each other. When Alfred sits down next to Klara in the café where she’s meant to meet her pen pal (who is Alfred, of course), the two get into an argument. Alfred openly tells Klara he doesn’t love her, and the way he says “I don’t” is just like a small boy telling a girl “I don’t like you. I swear I don’t!” It’s interesting that this film, much like Christmas in Connecticut, tries to place alternative values on the females outside of looks. Here, Alfred mentions that the letters Klara writes (before he knows she’s the writer) show off her ideals. It doesn’t matter what she looks like because she has principles and “thinks I’m the most wonderful person in the world.” In a departure from Christmas in Connecticut, Alfred is afraid he’ll end up disappointing her. I just felt the film moved away from this plot too often. I didn’t care about Matuschek and his philandering wife, even though it leads to Alfred getting fired. Matuschek treats Alfred badly from the minute the film starts, and the script makes this out to be some mystery as to why Matuschek no longer likes Alfred. I didn’t care and just figured he was the jerk boss. The other side characters make up the typical motley crew of friends and enemies, but the film is stronger without them. I would have been content to follow Alfred and Klara as they go in circles trying to figure each other out; that’s another thing that disappointed me, the mystery is solved far too quickly. Alfred discovers who Klara is around the 45-50 minute mark. I would have liked a few more missed instances of them almost figuring it out. I don’t think The Shop Around the Corner is bad, just overhyped. I’m willing to watch it again, maybe next Christmas, and revise my statements. Right now though, it’s just an okay film. I still prefer Heaven Can Wait. Good thoughts! I wish the tension were drawn out longer, too. I think Sullivan overacts at times, but I can look past her at the dreamy Jimmy Stewart. Call me sentimental, but it’s still one of my faves. Haha, I can certainly understand people’s love for it. I thought it was a decent enough film (and I am a Jimmy Stewart fan), but this is one case where I thought the remake, in this case “You’ve Got Mail”, was superior to the original. Not just because of the newer technology and modern setting, but because the story was told much better. I could see that. I’m not a Tom Hanks/Meg Ryan fan, but I’m interested in checking out or comparisons sake. I wasn’t a fan of Jimmy Stewart at first but he’s now my favorite “classic” actor. I think he shines in his Westerns. For example his Antony Mann films (winchester 73, naked spur, man from laramine, etc). 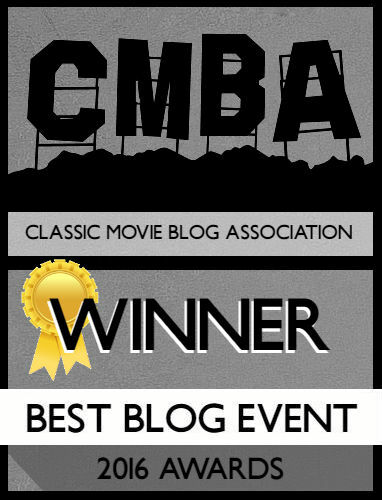 Also, Harvey, Anatomy of a Murder and his films with Hitchcock are favs of mine. I love Anatomy of a Murder, and I think Call Northside 777 was the role that turned him around for me. I’m certainly interested in broadening my film knowledge with him, there’s a reason his films are enduring. Stewart is growing on me (he even made it into my Hall of Fame), but he’s far from my top five. I first watched this film when I was sick. I had just gotten off a cross country flight and got hit with the flu. I watched it in bed and it must have been the sickness because it confused me but entertained me. I finally tracked down a copy when I got better and watched it again. I enjoyed it again, even though the Margaret Sullavan character was annoying. I hadn’t realized it was set in Budapest since everyone was speaking perfect english. Love Jimmy Stewart. Both leads charm in The Shop Around The Corner, great review and interesting thoughts.